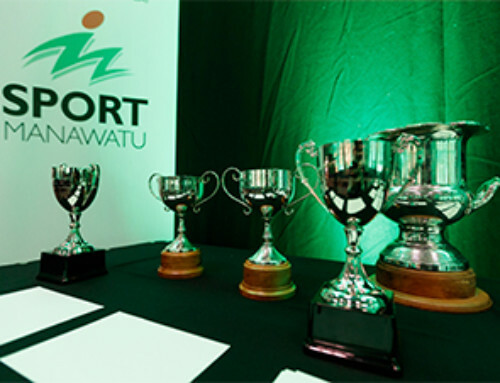 The Manawatu Legends of Sport was established in 2007 to acknowledge and honour the region’s greatest sporting achievers and those who have dedicated many years of service to sport; all of whom have had a significant impact on our sporting heritage. It recognises iconic sportspeople who have not only achieved at the highest level of their code but have each contributed an insurmountable quality of blood, sweat and tears (not to mention many years of their lives!) back into regional sport. Born in Kuiti and raised in Piopio, Farah has been actively involved in sport and exercise at a young age. Growing up in the farming community of Piopio helped foster a clear appreciation of what rugby means to New Zealanders. Dr. Farah was actively involved in competitive netball, tennis, swimming, athletics and cross country but her passion for rugby ignited when she took part in a hostel match in her first year at university. After finishing school in 1990, Dr. Farah moved to Dunedin to attend Otago University where she played socially until 1992 when she joined the university rugby team. Starting in the B team, Farah was promoted to the A team in 1994. Farah was selected as a reserve for the 1995 New Zealand team and made her debut in the following year. 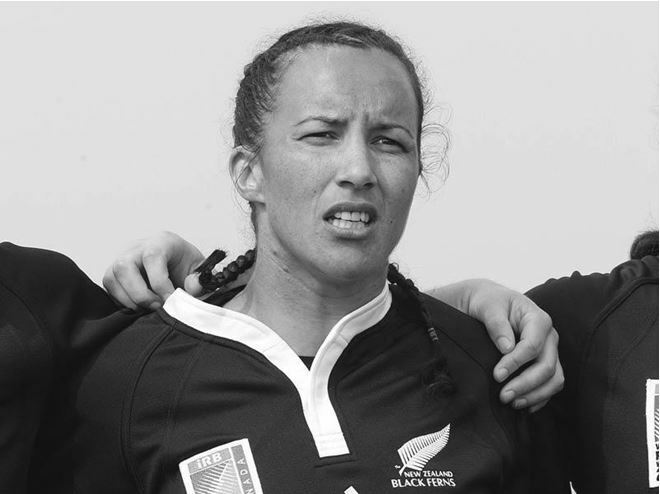 Farah’s excellent leadership qualities were recognised and she became the Black Ferns regular captain from 1997. As a Black Fern, Farah has been a part of 35 test matches, captained 30 and won 34 which included three Rugby World Cup titles. Having completed her B. Phys Ed degree in 1994 Farah commenced working towards a PhD in sports sociology and while doing field research for her thesis during 1997. Having completed her PhD at Otago University in 2000 Farah moved to Palmerston North in 2001 to teach at Massey University where she currently fulfils the role as Senior Lecturer, School of Management and Director Te Au Rangahau. Farah’s list of achievements is numerous and is recognised not only for her athletic ability but also her academic and service to sport. 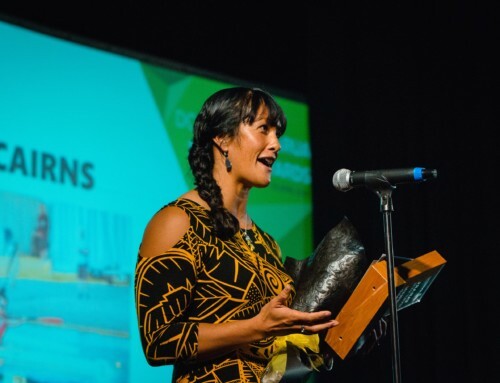 Some achievements include NZRU Women’s Player of the Year, NZ Maori Sportsperson of the Year, Manawatu Sports Personality of the Year, IRB International Women’s Personality of the Year and was made an Officer of the New Zealand Order of Merit for service to women’s rugby and sport. Farah was among the first women to be inducted into the World Rugby Hall of Fame and more recently, Farah became the first female elect to the board of New Zealand Rugby (NZR). Farah has achieved in all aspects as a leader in sport. A player, an educator, and a highly influential figure that displays great professionalism and dedication to the game of rugby and sport as a whole. To anyone who has set foot on a hockey field in the Manawatu, the name Banks, is synonymous with a great player and a great administrator. But there was once a time when Warren Banks was simply another young man, attending one of our many fine schools, just hoping for a shot at something great. However, a young Warren Banks was more likely to be found darting around on a rugby field, than with stick in hand. 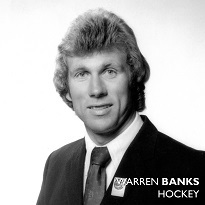 In fact, Warren Banks didn’t even set foot on a Hockey field until he was 16 years old going on to represent the Manawatu men’s side 3 years later. Warren’s first foray into hockey wasn’t on a field, but in the rink, donning his first set of skates to play roller hockey in 1959. He didn’t have fancy new gear, or state of the art fields; what he did have was a walking stick, a tin can, and the street in front of his house. But, he never let that stop him. Attending Palmerston North Boys High, Warren toiled hard throughout his schooling. His efforts were rewarded when he was selected into the Manawatu Roller Hockey team at the age of 16. He didn’t stop there, as his skill saw him going on to represent New Zealand six years later in 1966 on a world tour playing in Honolulu, USA, Italy, England, Belgium, Germany and Holland. Alongside his roller hockey, Warren was honing his skills in field hockey as well, and he went on to represent New Zealand in at the 1973 World Cup held in Holland. According to his lifelong friends and team mates, Brian Ax and Mike Collinson, Warren was always the fittest player on the park, his speed and ability with the stick was a cut above, which could be attributed to a roller hockey background. Many defenders found it difficult to track him, due to his quick reflexes and his ability to read and react to the defence. He was a remarkable goal scorer, which comes down to one thing; he was always there to take the shots at the right place and right time. Considered a “work horse”, Warren earned that title unequivocally, after losing a knee cap in 1973 in a severe accident, and continuing to play Field Hockey for Manawatu for another 10 years. He retired in 1984 at the age of 40, but even that wasn’t going to stop him, as 20 years later he took the field for the Manawatu Masters Roller Hockey team. Warren also had more to give off the field; proving himself a true servant of the game in his role as an administrator. He was elected as the Chair of the New Zealand Roller Hockey Committee, whilst coaching numerous Palmerston North Boys High School teams, the Manawatu Colts, men’s and masters teams and men’s indoor teams. Warren became the Manawatu Hockey Operation Manager which eventuated to a position on the Central Hockey Board. He was the key player in the recent development of Manawatu Hockey facilities and he also oversaw the initiation of a highly successful summer hockey programme. The game has been strong in the Manawatu in recent years, hosting a number of significant test matches and tournaments, and attracting more people to the sport. A career which saw him awarded a New Zealand Bronze Hockey Service medal for 15 years’ service, and the respect of the Manawatu community. Born in Palmerston North on the 23rd of March 1946, our legend was educated at Eketahuna District High School then the latter Tararua College once Eketahuna District High School closed in 1959. She recalls that in her day, the girls had to vote for either hockey or netball as they only had enough players for one team. This is where her journey with hockey began. As a school girl she broke into the hockey scene by first representing Bush in 1961 and also becoming the youngest player to be selected in the North Island minor team at the age of 15. In 1964 while studying at Massey University she represented the Manawatu woman’s side before studying requirements soon forced her down to Victoria University where she also represented Wellington in 1966-67 earning her first NZ trial in 1967. Her commitment to her career continued to shift her around the country, this time to the city of sails where she represented the Auckland team securing her first New Zealand selection in 1973 on an 11 week tour to Amsterdam and later the Edinburgh tour in 1975. A versatile left half renown for her play making ability; her team mates described her as a skilful and intelligent player who was popular among many. After returning from her Edinburgh tour in 1975 her and her husband Ian tied the knot and shifted to Papua New Guinea giving birth to their first of three children Thalia in 1977. She continued playing even through pregnancy and won the national Papua New Guinea title with her Port Moresby side in 1976. In 1980 she returned to New Zealand situating herself in Marton then shortly after shifting to Wanganui until 1987. 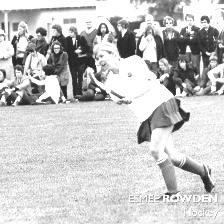 No matter where she was she always found a way onto the hockey field representing Wanganui in 1982 and 1983 as a player/coach. After taking to the hockey field for the last time in Wanganui she returned home to the Manawatu in 1987 as a high school teacher at Awatapu College then later Palmerston North Girls High School for the best part of 20 years. During this time she was the head of hockey alongside Coach Willie McPhail leading Palmerston North Girls High school to two consecutive national championships in 1993 and 1994 in what was considered the “glory days” of Manawatu Hockey. Not to mention she also served as Coach of the Manawatu Premier Team from 1991 – 1995 who were the National Champions in 1992 subsequently earning her the Manawatu Coach of the Year title all while also being a selector and manager for the NZ Women’s hockey teams from 1993 – 98. After 40 years of hockey she is now retired and settled in Palmerston North with her husband Ian. 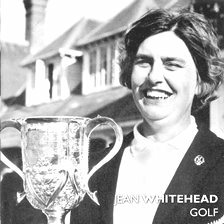 Jean Whitehead‘s father was involved with the Waipukurau Golf Club so it was only natural that she picked up the sport from an early age. With hickory clubs cut down to suit her young age she would keenly hit balls in the family’s horse paddock and the family made trips to the local golf course. However, while training as a physical education teacher Jean’s main focus was on hockey; a sport at which she also excelled at, later representing Wanganui, Taranaki and Manawatu. Her talent was such that she could have been a prime prospect for national hockey honours – but at this time there was little international women’s hockey played. After finishing her training she worked in Wanganui, Hawke’s Bay and Taranaki before moving to Palmerston North. It was while working as a P.E teacher at Palmerston North Girls’ High School that Jean joined the Palmerston North Golf Club and later Manawatu Golf Club. During her time at the Manawatu club she won the Open tournaments at Levin, Dannevirke, Wanganui and Manawatu, as well as the Club Championships and the Manawatu Open. By 1955, Jean had risen to national honours winning the NZ foursomes title and the New Zealand Plate. 1958 saw her reach her first national final as an individual at the NZ Women’s Amateur Championships and, after a hard fought encounter against her cousin Nicki Campbell, she lost at the 37th hole to take the silver medal. She was also Runner-up at the championships in 1959 and 1970, but managed to win the title in 1967 and 1973. Including these wins she gained nine national titles during her career, which included winning the Mellsop Cup (NZ Women’s Amateur Stroke Play Championships) six times between 1961 and 1974. Internationally, Jean took her first of many overseas trips in 1959 – representing New Zealand at the inaugural Commonwealth Tournament at St Andrews, Scotland. Jean went on to play in other Commonwealth events and also played in Tasman Cup teams. She was playing captain for various teams including the NZ Team at the 1964 and 1968 Espirito Santo Trophy Tournament and the World Tournament Team in 1965 and 1968. Jean also played in the British Open twice. Her successes were acknowledged when she won the Manawatu Sportsperson of the Year in 1968 and in 1974 she was named the Marilynn Smith Golfer of the Year which is presented to the player who has the most points at the end of the calendar year. This same year she was also awarded the prestigious title of New Zealand Golfer of the Year by the New Zealand Eagles; an award that recognises contribution to the sport. In addition to her playing prowess, Jean was also president of the Manawatu Golf Club from 1969 to 1971 and of the Manawatu-Wanganui District Golf Association from 1976 to 1980. She was also a selector for NZ Golf and was made a life member of the Manawatu Golf Club and NZ Golf. Jean continued to play golf, winning the 1997 NZ Veterans Tournament in the 50 years and over category. She still plays a few holes at the Manawatu Golf Course, and practices her swing and chip shots on her back lawn at her home in Palmerston North. Born in Palmerston North on Christmas Day 1944, Strahan was educated at Apiti School, where he recalls his earliest rugby memory, playing for the Apiti School Midgets. He then went on to Huntley Preparatory School, and Wanganui Collegiate. After only three games for his home club, Oroua, in 1965 he was selected to represent Manawatu, and attracted the attention of national selectors who included him in the Junior All Black team against the 1966 Lions. In 1967 the All Black selectors were searching for a lock to partner Colin Meads. They went to Napier to study Manawatu’s Ranfurly Shield challenge, after which the selector found his lock forward after seeing some outstanding play from Sam. By the end of the 1967 season the 1.95m, 101kg lock was off to Britain with the All Blacks where he partnered Colin Meads in each of the four Internationals. The young farmer had gone away as a relatively junior player but his performance improved with each game on a tour which is regarded as one of the most successful ever, being unbeaten in its 17 matches. After 23 games for the All Blacks he had never been in a losing team, however, in 1969 he lost his Test position to Taranaki’s Alan Smith. Strahan returned to top form in 1970 though, touring South Africa and playing the best rugby of his career, appearing in the first three Tests. 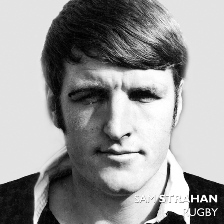 After his last All Black game in 1973, Strahan played once for Manawatu then later retired from all first class rugby. Sam is remembered as one of Manawatu’s finest All Blacks and for six years the best lineout jumper in the country. All up he played for 36 years – with 45 games for the All Blacks, including 17 test matches. After hanging up his boots Sam Strahan remained involved in rugby, as coach to his club team Oroua, and also within the Club’s administration. In 2002, the Oroua Rugby Football Club made Strahan a life member of the Club. He has also served as President of the Manawatu Rugby Union, of which he is also a life member. Along with his father Dan, and brothers Bernard and Michael, Sir Patrick Higgins founded the Higgins Group construction, roading, and contracting company. He started at the bottom driving diggers and worked his way to the top, heading a company that now employs more than 1,100 staff and operates throughout the North Island. His involvement in Motorsport started back in October 1973 at the first race meeting on the track at Manfeild. From 1976 – 1998 he served on the Manfeild board of Control and he was chairman of this committee for 7 years. He was a driving force behind the construction and subsequent maintenance track upgrades at the motor racing circuit. Sir Patrick is also heavily involved with rugby in the Manawatu and is a huge supporter of the Manawatu Turbos. The Higgins Group are a major sponsor of the Manawatu Rugby Academy based at Massey University to support the education and training of talented local rugby players. As well as having a personal love of sport, especially rugby and motorsport, he also believes sport is good for the wider community. In 2007, he was named Manawatu Sports Personality of the Year. 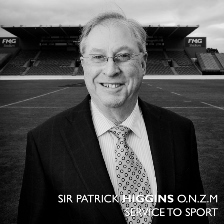 He was made an officer of the New Zealand Order of Merit in 2005 and knighted in 2011 for services to philanthropy and the community because of the massive contribution he has made to community and sporting groups, including Arohanui Hospice, Manawatu Cancer Society, the Louise Perkins Foundation, the Manawatu Turbos, the Manawatu Rugby Academy and Manfeild Park. But the full extent of his charity will never be known because so much of it has been done quietly, shunning the attention a lesser man would crave. 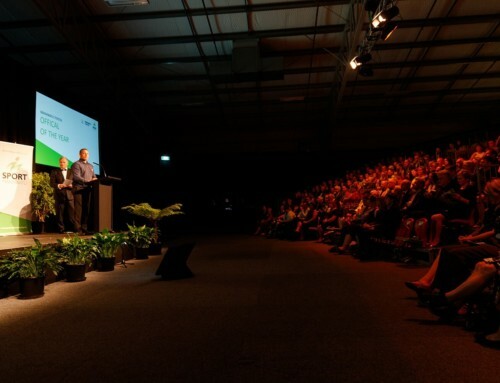 He hasn’t supported this community to increase the profile of his roading construction business or to cultivate personal glory; he has given to those in need because he wanted to make Manawatu a better place. That is the true essence of charity. Charlie Waugh was born March 6, 1938 in Palmerston North, where he still resides today. This mighty Manawatu man was well respected on the squash court and played the game with passion and honesty. 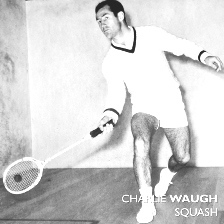 Charlie dominated the men’s game in the early 1960s; this was a time now looked upon as the beginning of the expansion phase of squash, where 1,700 players grew to almost 17,000. His long standing New Zealand Champion five-year run was achieved between 1960 and 1964, which was acknowledged as an outstanding record that stood for nearly 30 years. Charlie was looked upon as New Zealand’s first true world-class player and was a New Zealand Representative in 1961, ’63, ’64, ’65, ’67, ’68 and 1971, which he highlights as the pinnacle of his illustrious playing career. As well as a world class squash player Charlie was a natural athlete, showing off his multi-talent ability by representing Central Districts as the number one seeded tennis player. As a keen cyclist, he completed many cycling circuits, including Tour-de-Manawatu and Lake Taupo. His true desire was to become an All Black “but I unfortunately missed the boat on that one” Charlie said. However, he still found the time to represent the Manawatu third string side as a halfback. Charlie prefers to keep a low profile about his achievements, but still managed to volunteer his time to assist junior players and was happy to help where he could. In addition to being inducted as a Manawatu Legend of Sport, Charlie was also inducted into the New Zealand Squash Hall of Fame in 2010. 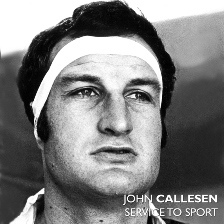 John Arthur Callesen was born May 24 1950 in Palmerston North, and attended Longburn School before going to Nelson College, playing first XI rugby in 1967. John made his Manawatu debut in 1970, one day before his twentieth birthday and played every game during 1970-71 impressing not only with his high lineout leaping but also his speed about the field. Provincially, Callesen played almost 100 games for the Manawatu, an era when Manawatu Rugby had a grand run with the Ranfurly Shield. A Junior All Black in 1972 and ’73 John made his All Black debut in 1974 and played 18 matches for the All Blacks including four tests. On more than one occasion, he had to pass up touring opportunities for his country due to work commitments, remembering rugby was still a strictly amateur sport in this era. Unfortunately a prolapsed disc in John’s back prematurely ended his rugby career, and dashed his plans to reach a century of games for the Manawatu and once again lock for the All Blacks. John has also made an immense contribution to Manawatu Athletics and without his efforts the Manawatu Community Athletic Track (MCAT) would not exist. John became involved in athletics in the early 1990’s through his daughters Hannah and Emma, both talented athletes and national medallists. For many years the Manawatu Athletics community had been lobbying for an all weather track in the area, but to no avail. However once John came on board with the project, a senior athletics official said, “doors that were previously shut were now opened”. From the time of the tracks construction, until 2009, John served on the MCAT board, and was a strong advocate for the sport of athletics. 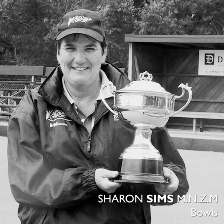 Sharon Sims began playing bowls in 1986 at the Manawatu Bowling Club and joined Northern Bowling Club in 1995. She started playing bowls by chance when she went along with a friend to the Manawatu Bowling Club open day, from there she was hooked. She first represented New Zealand in the Trans Tasman Test Series in 1997, after four years in the NZ Emerging Players team and represented New Zealand every year until her retirement in 2008 having played over 350 matches. Sharon has been the country`s most successful international player winning gold for the pairs at the 2002 Commonwealth Games in Manchester and three gold medals at the World Championships. Two of those came at the 2000 World Championships, where she won the women`s triples and fours, with the other coming in the pairs in 2004. An equally dominant force on the national bowls scene Sharon has won six national titles. On retirement from international play in 2008, Sharon was NZ’s most successful international representative with a total of eight gold, four silver and three bronze international medals. Sharon’s involvement with bowls has gone beyond being an international competitor including coaching where she has coached the New Zealand Juniors team and worked as a regional development officer and national coaching coordinator. On top of being a world class athlete, Sharon has received many other honours. In 2007 she became a member of the New Zealand Order of Merit awarded in the Queen’s Birthday Honours for services to bowls. She was awarded Bowls New Zealand Player of the Year in 2005 and has won Sport Manawatu Sportsperson of the Year three times in (2000, 2002, & 2004). 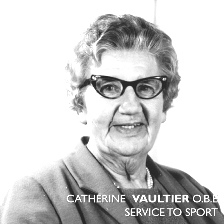 Catherine Vautier has over 50 years experience in the sporting community. She filled many roles over these years as a player, club captain, coach, umpire, manager, selector, administrator and president. Born in Palmerston North on August 27 1902, she was the eldest of 12 children and lived the majority of her life in this area. She attended Palmerston North Girls High School becoming head prefect and dux. It was during these school years she participated in many sports but being tall and strong, she excelled in netball, or basketball, as it was known then. After completing high school she attended Otago University. She continued to play netball at university where she became club captain and led the A team to two New Zealand University Easter tournaments. Education and academic achievement played a major influence in her life. She studied home science and when she returned to Palmerston North she took up a teaching position at Palmerston North Technical School later to become Queen Elizabeth College, a position she would hold for the next 40 years retiring in 1967. During this time, she was instrumental in the off court development of netball. Ending her own playing career to concentrate on the advancement of the game, she, with others established a regular weekly netball competition in the region. From this, the Manawatu Netball Association was formed in 1928 which she helped found. She was later elected president of the Manawatu Netball Association in 1930 and held this position for all but six of the following 41 years. Not one to be just a figurehead, she was active in all aspects of netball. She was a coach, a manager, an umpire, a selector, including a national selector in 1948, an announcer, a publicist and a fund raiser. In 1967 she was made a life member of the New Zealand Netball Association. Although netball was her main focus, she was actively involved in other sports and community groups; croquet, bowls, cricket, table tennis, swimming and tennis – becoming the first woman president (and later life member) of the Manawatu Lawn Tennis Association. On top of her daytime teaching, she ran night classes in a range of crafts and staged a series of successful dramatic productions. In 1976, in recognition of her service to netball, Pururi Terrace courts complex, the major venue for Saturday netball, was renamed Vautier Park. A year later, she was made an Order of the British Empire (OBE) for services to sport and the community. Catherine passed away in Palmerston North on June 12 1989. 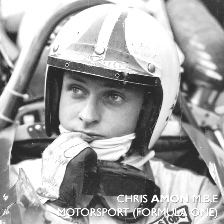 Born in Bulls on July 29 1943 Chris Amon was the only child of a wealthy sheep-owner. On leaving school, he persuaded his father to buy him an Austin A40 Special, which he entered in some minor local races and hillclimbs. He progressed to a 1.5 litre Cooper and then an old 2.5L Maserati 250F, but only began to draw attention when he drove the Cooper-Climax T51 which Bruce McLaren had used to win his maiden Grand Prix. In 1962 he entered the Cooper for the New Zealand Winter Series, but was hampered by mechanical problems. However, Scuderia Veloce entered him in a similar car, and, in the rain at Lakeside, he performed well. One of the spectators there was the English racing driver Reg Parnell who persuaded him to come to England and race for his team. In a test at Goodwood he continued to impress and was on the pace in the Goodwood International Trophy and Aintree 200 pre-season races. His career progressed from there and despite never winning a championship Formula One Grand Prix, he won eight non-championship Grand Prix’s, the Silverstone International Trophy, the 1000 km Monza, the Daytona 24 Hours, the Tasman Series and, perhaps most significant of all, the famous 24 Heures du Mans (alongside Bruce McLaren). Many of these races attracted some of his otherwise more successful fellow F1 drivers, all of whom he was able to beat. In Formula One, he took part in 96 Grand Prix, achieving 5 poles, leading 183 laps in 7 races, reaching the podium 11 times and scoring a total of 83 Championship points. After his retirement from F1 in 1976, he dedicated himself to running the family farm in the Manawatu district for many years. In the early 1980s he became more well-known in New Zealand for test-driving vehicles on the TV motoring series Motor Show and later consulted for Toyota New Zealand, tuning the 1984 Toyota Corolla and subsequent cars for sale there. He also appeared in TV commercials for the company, where much was made of the acclaim he won from Enzo Ferrari. More recently, he was involved in the design of the upgraded Taupo Motorsport Park circuit, used for the New Zealand round of the A1 Grand Prix season. Ian Ferguson was born in Taumaranui July 20 1952 and moved to the Manawatu at the age of nine. Attending Palmerston North Boys High School he showed great promise as a runner and rugby player but it was swimming that indicated his potential in the water. At the age of 14 he started competing in surf lifesaving with the Himatangi Surf Club, a club he remained with even though he moved to Wellington for his university studies. Over the next 30 years he would win many titles in surf lifesaving including the New Zealand Ironman in 1974, 75 and 76, the surf ski race in 1976, 77 and 90 and the Malibu board race in 1976. He won gold and silver medals representing New Zealand and in 1991 won four gold medals in the surf lifesaving world masters. Also in 1974 he was awarded Sport Manawatu Sportsperson of the Year for surf lifesaving. Although he has had such a distinguished sporting career in surf lifesaving he is more known for his performance in another discipline – kayaking. In 1976 he competed in his first Olympic Games in Montreal Canada. The following year he left New Zealand for competition in Europe. He competed at the Moscow Olympics in 1980 when most of the New Zealand athletes were boycotting these games under government pressure. In 1983 he won a silver medal at the World Championships. 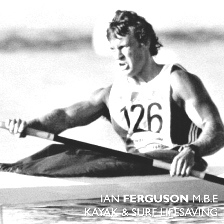 The following year at the 1984 Olympic Games in Los Angeles, he become New Zealand’s most successful Olympian by winning three gold medals in kayaking – the K1 500m , the K2 500m pairing with Paul MacDonald, and the K4 1000m with Grant Bramwell, Alan Thompson and Paul MacDonald. Later that year he won the New Zealand Sportsman of the Year award. In 1985 he won gold at the World Championships. In total his World Championship tally comes to two gold medals and three silver medals. Attending the 1988 Seoul Olympic Games he won two more medals; gold in the K2 500m and silver in K2 1000m, both with Paul MacDonald. He retired after competing at the Barcelona Olympics in 1992 becoming the first New Zealander to compete at five Olympic Games. He has remained in the sport of kayaking through forming and coaching the New Zealand Kayak Squad which includes his son Steven, also an Olympic athlete. He was born in Normanby in the Taranaki on January 31 1916. 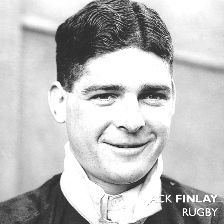 He attended Feilding Agricultural High School captaining the 1st XV in 1932. In 1933 he played for Feilding Old Boys Rugby Club and made his debut for Manawatu at the age of 18. That year in his first season he scored a record 46 points for the union which he later extended to 56 points in 1936. He was a utility player playing firstly in the five-eighths position before moving into the forwards at No. 8 and prop gaining an All Black trial for the front row. He was to play a couple of seasons back at five-eighths before permanently becoming a loose forward. Jack had six seasons representing the Manawatu and only missed two of the 61 games scoring a total of 246 points and 17 tries. With the start of the war, he enlisted and was sent to North Africa. He reached the rank of Major and was decorated with the Military Cross. After the war, he played in the 2nd NZEF Rugby Team which made a 33 match tour of Britain, France and Germany before returning to New Zealand for a five match tour. Better known as the “Kiwi’s” and later the “khaki All Blacks”, the team played open rugby to revive the game in Britain. He played in 20 of the games as captain or vice captain. Returning to New Zealand in 1946, he was rewarded with selection to the All Blacks playing a test in Dunedin against Australia winning 31 – 8 and scoring a try. Unfortunately he sustained an off field injury and did not appear in the second test or play for the All Blacks again. He later became a coach in Feilding for many years and was a selector for the Manawatu, North Island and from 1961-1963 also selected for the All Blacks. On the field he was renowned for his inspirational leadership, his covering play, his energy, speed and anticipation. He was a first class rucker, tough as old boots and played accordingly. Jack passed away on the 30 June 2001 in Feilding. He was honoured posthumously with 32 other test All Blacks at a test capping ceremony in June 2009 prior to the All Black – France Test match. 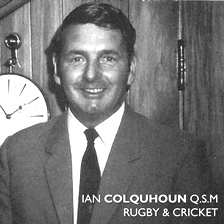 A Manawatu sporting legend in cricket and rugby – as a player, coach and selector – Ian was influential in both sports. He was considered one of the most successful secondary school rugby coaches in New Zealand and deemed by the New Zealand Rugby Almanac as “a most reliable five eight with perfect hands”. Born 1924 in Wellington, this legend came to Palmerston North in 1948 already making a name for himself on the rugby and cricket playing fields. He was an All Black triallist in 1947 and represented Wellington,Otago, and then captained the Manawatu team, playing 35 first class games. Deemed by the New Zealand Rugby Almanac as “a most reliable five eight with perfect hands”. A wicketkeeper, he had the misfortune to be part of New Zealand’s most famous test match loss when they were bowled out for 26 by England in 1955 in the second innings of the second test at Eden Park. However, at the first test in Dunedin he had distinguished himself by twice catching the great England batsman and captain Len Hatton. Holding just about every administrative role for Central Districts Cricket he was made a life member in September 1980 and was a selector for Central Districts and New Zealand cricket. He was awarded a Queen’s Service Medal in the New Years Honours list in 1985 for public services. After retirement in 1984 he settled at Paraparaumu Beach and took on the role of President of the Golf Club. 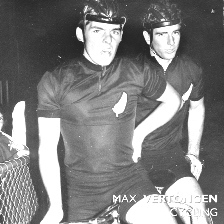 Max Vertongen was born in Palmerston North in 1949 and his name is synonymous with cycling throughout the region, the country and perhaps even the world. Max was a talented athlete who after his retirement from competition continued his involvement in the sport through coaching, and combined this with running a successful business that included a complete change of career in 1992. His successful coaching career has included a number of highly successful local athletes, one of whom was his son Lee. His appointment as New Zealand Cycling coach at the 1978, 1998, and 2002 Commonwealth Games and 2000 Olympic Games saw him lead the teams to bring home several individual and team medals. This led to him being named Manawatu Coach of the Year in 2002 and 2003. 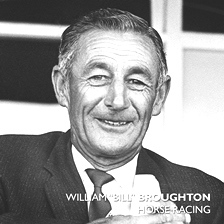 William “Bill” Broughton was born in Foxton in 1913. His family moved to Tokomaru early on, where he attended primary school. Bill grew up in a household with links to horse-racing, and like his brother and parents, he was of small stature and at home with horses. During his school holidays he enjoyed visiting the racing stables of leading Awapuni trainer George New. Eventually Bill was offered an apprenticeship and was formally registered in the 1928/29 season when he was 15. In October 1928, at his sixth race-day ride, he rode his first winner and managed another five wins in his first year. Success was not easy in those days, with champion jockeys such as Hector Gray, Tommy Green, Keith Voitre, the Ellis brothers and Roy Reed all riding. An early highlight of Bill’s career was winning the New Zealand Cup in 1931 while still an apprentice. In 1934 he established himself among the top jockeys, finishing second to his good friend Jim Ellis. In 1952 Bill again won the New Zealand Cup. In between, he had won virtually every major race on the calendar – many of them several times – with the exception of the Auckland Cup. During the 1940s he dominated the jockeys’ ranks in New Zealand, with more than twice as many winners as the next-best rider. Bill was noted for his patient riding style and ability to time his home run to perfection. He could often get the best out of a horse without using a whip. A memorable example of this was in the 1957 Wellington Cup. Top Australian horseman Neville Sellwood was riding Cardigan vigorously with the whip, and Bill used his ‘hands and heels’ technique on Sombrero. They fought an exciting battle down the home straight, with Bill snatching a popular victory right on the finishing line. His riding methods reflected his personality. Bill was disciplined and determined, striving for perfection in everything he did. Over his long career he broke many bones in the inevitable falls jockeys suffer. However, in March 1958 after a relatively minor foot injury sustained in a fall in a race at Trentham, he retired, aged 45, not wanting to risk permanent disability or to ride over-cautiously. By this time his official winning tally was 1,446 races in New Zealand, plus 11 in Australia. In three decades he had headed the jockeys’ list 11 times. Bill took no further active part in racing. For many years he was President of the New Zealand Jockeys’ Association and, typically, carried out his duties thoroughly and efficiently. Through his determination and high standing he achieved consistent improvements in conditions and pay for jockeys. Having invested his considerable earnings wisely, he was free to cultivate his other sporting interests. He got down to a two handicap at golf, played lawn bowls at championship level and became a noted coach, and excelled at clay-bird shooting. 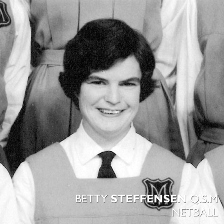 Born in Palmerston North in the late 1930s, Betty was a young, impressionable lady who discovered her sport through the inspiration and support of a much loved teacher and mentor by the name of ‘Miss Vautier’. Once a game of basketball, netball was modified and soon made its impact of hundreds of women around the country. Selected for the successful 1959 Manawatu team, they won the second grade at the New Zealand Tournament under the new seven-a-side rules. She was then invited to trial for the Silver Ferns’ team to tour Australia in 1960. She was successful in her trial and on arrival home from Wellington a very proud father presented her with a cheque written out to ‘the Vice Captain’. A big accomplishment for a small town girl! Since her playing days, her contribution to the administrative roles of the game has been enormous – in fact, it’s difficult to know where to start! To put her contributions into perspective, she was awarded the NZ Service Medal from the national body to recognise 20 years of service to the game, the Queen’s Service Medal in 1990 which recognises an individual’s voluntary service to the community, and the Women’s Suffrage Medal in 1993 awarded to 500 women and men who had, by their virtues and talents, made a recognised contribution to the rights of women in New Zealand. In another capacity, she was the first New Zealand player to achieve the International Umpires Badge and continued on to become an examiner. On a local note, she has been a regular act in the Manawatu Association holding many positions of office including event manager, coach, manager, president, executive member and now convenor of the Life Membership Committee. She was also a part of the team that saw Manawatu awarded the Best Organised and Best Administered Association in 1987. 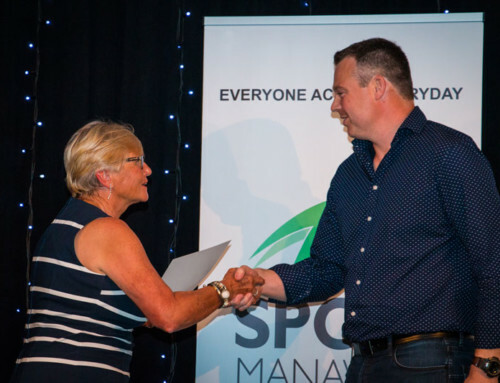 Once a Manawatu Sports Foundation Executive and Trust Board member, a member of the PNCC Recreation and Sport Committee, and liaison between community groups and the PNCC. Betty is now a Life Member of Netball Manawatu and Netball New Zealand. Born and bred in the Manawatu region, this legend was renowned for mastering the art of any sporting equipment he touched but none more so than the hockey stick and the cricket bat. 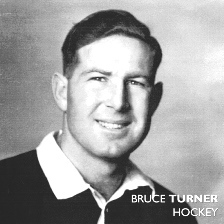 He was first selected for the Manawatu Hockey team in 1945 as a 14 year old and played continuously for the region for 20 years – almost half of those were as captain. He also featured in Manawatu’s victorious years with the Challenge Shield and the North Island team. At 19, he was selected to play for New Zealand and continued in the national team for a further 12 years participating in the 1956 Melbourne Olympics, making captain in 1958 and leading the team to the 1960 Rome Olympics to finish fifth. He was the national selector and coach from 1962 until the 1976 Montreal games for which he was the selector but not the coach. To add to his playing prowess, he was included in the 1958 Indian Captain’s World XI (eleven) and rated by the Indians as the finest right half in the world – no easy feat. Retiring in 1966 from representative hockey, he redirected his time to selector-coach from 1964 to 1969 and was deeply involved in coaching Manawatu primary school children for many years. When needed by his brother, he also helped out with umpiring. During his early years, he dabbled in rugby, captaining the Manawatu Primary Schools’ representative rugby team, and was a talented centre for the PNBHS First XV (fifteen). He represented the region in basketball and was an exceptional cricket player representing Central Districts for a number of years. If it wasn’t for his choice to pursue hockey, he could’ve gone a long way with cricket too. Known to his peers as ‘Mr Hockey’ he contributed an insurmountable time to the development of hockey in the region as an administrator, coach, selector and umpire. In later years, the Fitzherbert Park Pavilion was renamed in honour of his achievements and contribution to hockey and cricket. Born in Palmerston North on 20 June 1937, Phil grew up with lawn bowls beside his father at the greens, which later turned into a passion that would take him to his first national title at the tender age of 20. A day down at the greens isn’t ordinarily a highlight on most 20 year olds’ social calendars but he had a skill unlike most others. Awarded an OBE for his services to the sport, his decorated sporting vitae is vast and filled with numerous championships, NZ titles and Commonwealth Games’ medals. The most notable of all titles would have to be the gold medal won at the 1988 World Championships in Auckland. He was also a regular on the administrative side of the game too. His peers would often describe him as innovative and always trying to improve the game locally, and perhaps regularly keeping the sport’s national body on their toes through his commentary! Having held many positions within club committees and the national council, he always had the best intentions for the game at heart. 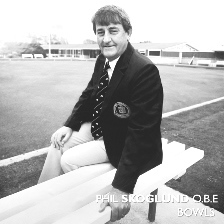 Inducted into the NZ Sports Hall of Fame in 1990, awarded the sport’s Gold Star and Medallion of the Association, and four-time Manawatu Sportsperson of the Year, Phil Skoglund is a true legend. 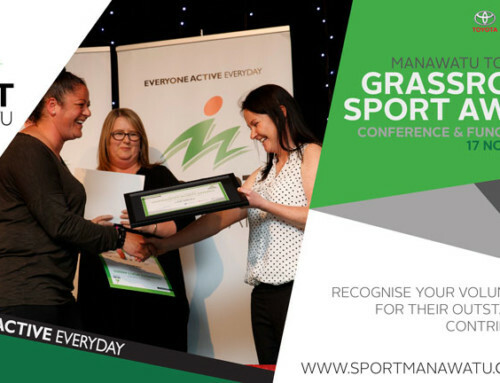 SPORT MANAWATU & SHOE CLINIC HAVE JOINED FORCES TO GET OUR COMMUNITY ACTIVE! Our vision is to get "everyone active everyday". In order to accomplish this, our mission is to lead our region to increase participation in sport and active recreation. Everything we do is about making it easier for people to play at sport, recreation in sport and compete in sport.